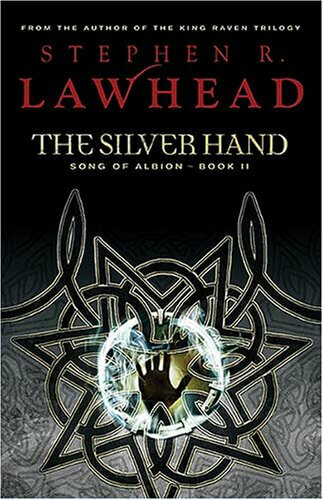 The Silver Hand by Stephen Lawhead continues the Song of Albion series, kicking it into high gear and engaging you even further into the world of Albion. If you’ve read the first book, you need to pick up the sequel and read it as well. And if you’re looking for a great fantasy series that’s neither a LotR or Narnia rip-off, Song of Albion might be for you. The great king, Meldryn Mawr, is dead, and his kingdom lies in ruins. Treachery and brutality rule the land, and Albion is the scene of an epic struggle for the throne. Tegid Tathal, last of the bards, alone holds the power to name the successor to the throne. But Prince Meldron, poisoned by the words of Siawn Hy, is not willing to accept the words of the bard. Lewis Gillies returns as Llew, seeking the true meaning of the prophecy of the Silver Hand. I absolutely consider it a must that series’, particularly trilogies, must escalate in intensity to a climactic finish (except, of course, in the case of books like Mockingjay, whch I felt escalated things too far). This book certainly fulfills its role in that scheme of things. We have no huge new characters, but our old ones twist in ways we never would have expected. Indeed, this book is all about ‘damage from the inside.’ And of course, writing-wise, everything good about the first book still holds true. Especially good is how slim the odds are. The story plateaus in a good point at this book. Book 1 introduced an impending disaster which was solved throughout the course of this book. This book ends on a good point, but still vaguely tucked into the back of your mind is the knowledge that as long as foreigners are in Albion, both Albion and our world are in danger that threaten their existence. This sets the stage for the third book, which I am looking forward to diving into. In short, this is a great book, but is obviously tied to the first book – if you liked the first book, this is a must-read. This isn’t a series like Narnia where the books are semi-standalone. The series overall is very good – this book pulls things along in an excellent fashion, and is maybe even a better book than the first, as far as the plot goes. 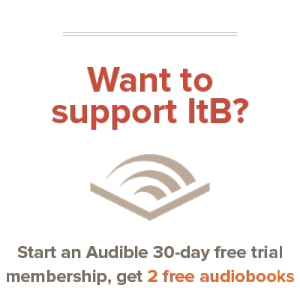 Next time you’re at a library check out the Song of Albion series. And stay tuned for the review of the third book.